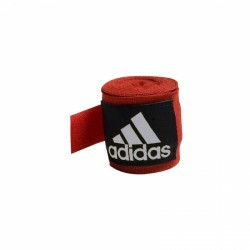 The classic adidas boxing wraps are made of soft stretch tissue and have a hook-and-loop strap of 5cm avoiding slipping. Purchasing the Everlast head guard Pro Traditional, you get a head guard of approved Everlast quality. 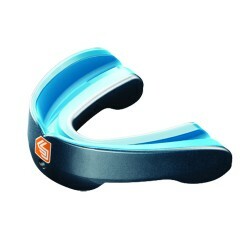 Purchasing the Shock Doctor mouthguard Gel Max, you get a sturdy gumshield, which adapts optimally to your teeth. 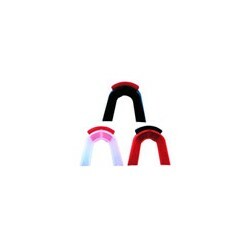 An innovative rubber structure with integrated jaw bite cushion offers maximum protection for teeth and jaw. In addition, the Shock Doctor mouthguard Gel Max offers a three-layer design for additional protection, hold, and comfort. The integrated respiratory channels of the Shock Doctor mouthguard facilitate the air supply during the sparring. 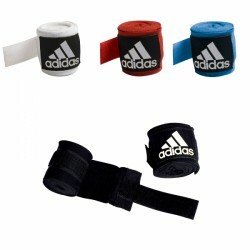 adidas boxing wraps "New AIBA Rules"
The adidas boxing wraps "New AIBA Rules" correspond to the latest AIBA directives. 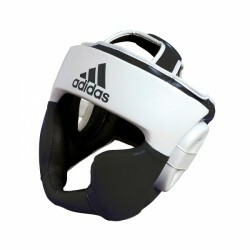 The Head guard adidas Response has a gel-cushioning in forehead area as well as a cheek bone and chin padding to avoid head injuries while exercising. The Everlast mouthguard is made of soft silicone and has a breathing hole in this double version to facilitate breathing. Using the adidas mouthguard double , injuries of upper and lower jaw can be avoided. It gets warmed up in hot water to adjust it optimally to the mouth - before it is worn while exercising. 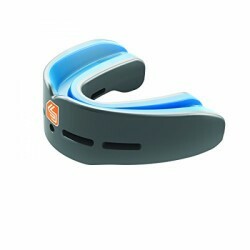 The Shock Doctor mouthguard Gel Nano convinces by a compact design and optimal protection. The monocoque light weigth structure spreads the pressure away from the impact point. In addition, the Shock Doctor mouthguard Gel Nano is equipped with a molar absorption and the Tri-Bite system, which stabilises the jaw. 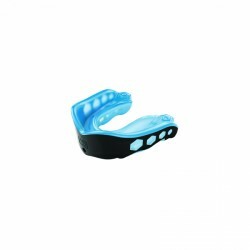 The Shock Doctor mouthguard Pro protects ideally your upper jaw for types of sport with less impacts. 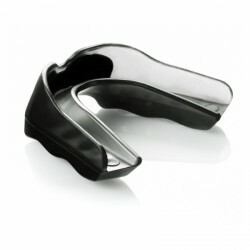 This mouthguard can be worn with a brace and is super to heat and adjust. In design including comfort and durability, this product meets all my requirements. Either doing boxing, MMA or another martial arts, sufficient protection for the training should be provided. A well-known accessory of boxing equipment are gloves as well as boxing wraps. These are worn under the boxing gloves, absorb sweat, and protect wrists from injuries. Depending upon your boxing training, your boxing equipment should be adapted differently. Regarding normal punch bag training, a great part of boxing equipment can be renounced - except gloves and boxing wraps. It is especially sparring or competitions, where a mouthguard and - if required - a jock strap and head guard should be used as well. Besides boxing, the boxing protective gear offered in our range of products, it is suitable for almost any other martial arts, i.e., MMA, taekwondo, karate, jiu jitsu, kick boxing or krav maga.